Can't decide what to get? Did all the different Diaper choices leave you lost and confused? Or are you ready to just try something new? Dearest Sampler is perfect for any Fluff Lover! 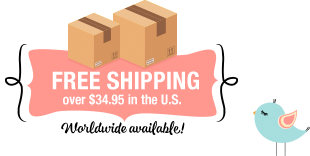 Regardless of if you are a Newbie or Veteran to the Cloth Diapering World, Dearest Sampler will provide you with a variety of must have Products! A Sampler can include anything from Diapers, Wipes, Wetbags to anything you could possibly need for your Cloth Diapering Journey! We will make sure you get to sample different Types of Diapers and Diapering Products from the most sought after styles and Brands! Pick the size you will need for your child. What size of diapers do you want your sampler to include? You can choose from Newborn through Potty Training essentials. Pick how large you would like your Sampler to be. Freshman will include $35+ worth of items. Sophomore will include $50+ worth of items. Junior will include $75+ worth of items. Senior will include $100+ worth of items. Graduate will include $125+ worth of items. Post-Graduate will include $150+ worth of items. Masters (M.S.) will include $175+ worth of items. Doctor (Ph.D) will include $200+ worth of items. *Our Dearest Sampler is already such an amazing Value, that we do not honor any additional %off Coupons or Discounts, except for our Free Shipping within the U.S. of course. *The Sampler is an Assortment of Products, however if you have a special request, you can leave a comment during checkout in the Notes section. We will try our best to accommodate your wishes, but can not give any guarantees. Our Sampler is GUARANTEED to Retail more than your actual Purchase Price!! !